Mortgage payments are usually the single biggest household expenditure. 1. How Much Will I Save by Paying Bi-Weekly? 3. 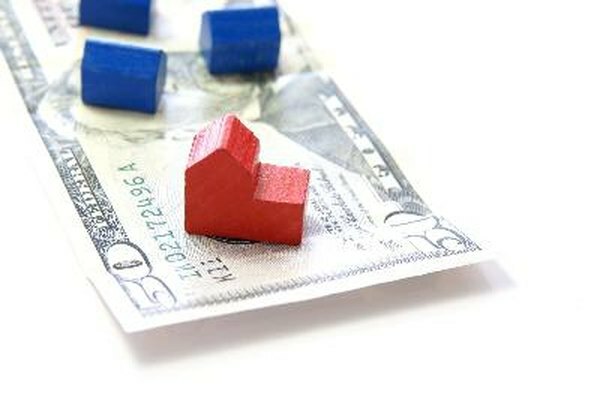 How do I Determine If Refinancing a Mortgage Will Save Money? Mortgage payments are generally on a monthly basis. However, some lenders offer different ways to pay off your mortgage faster, such as weekly or biweekly payments. Biweekly plans are popular because you can set up the payments to coincide with your biweekly pay deposits. You can pay down your mortgage faster and save on interest payments. You can calculate the biweekly mortgage savings using software spreadsheets and online mortgage calculators. Calculate the total interest payments for a regular monthly payment plan. You can get this information from your mortgage lender or you can use online mortgage calculators at Yahoo! Homes, Bankrate.com and other websites. For example, you would pay a total of about $186,512 in interest for a 30-year $200,000 mortgage at a fixed annual interest rate of 5 percent, according to the Bankrate.com mortgage calculator. Calculate the total interest payments for a biweekly payment plan. Once again, use a spreadsheet or any online mortgage calculator with a biweekly payment estimation option. Continuing with the same mortgage example, you would pay about $150,978 in interest over the course of a mortgage if you make biweekly payments. Subtract the total biweekly interest payments from the total monthly interest payments to estimate your total interest savings. Continuing with the example, you would save $186,512 minus $150,978, or $35,534, in interest payments by switching to biweekly payments. The main reason for the savings is that you are making the equivalent of one additional monthly payment per year, thus paying off your mortgage sooner. Deduct the cost of fees and charges for switching from a monthly to a biweekly payment plan. According to Dana Dratch of Bankrate.com, lenders may charge enrollment fees of $295 to $379, in addition to transaction charges. Your net savings for making biweekly mortgage payments are the interest savings minus fees and charges. You can also save on interest and pay off your mortgage faster by making additional annual or monthly payments. This is a more flexible option because you are not signing onto fixed biweekly payments for several years. You could make these additional payments depending on your cash flow situation. In the example, if you make monthly payments but pay an additional $1,000 during the year, you would pay off the mortgage about four years faster and save about $30,000 in interest payments. Therefore, the difference between this option and making biweekly payments is about $5,000, or less than $200 per year. Bankrate.com: Do You Really Want to Pay Your Mortgage Biweekly? Yahoo! Homes: Should I Convert to a Bi-Weekly Payment Schedule?